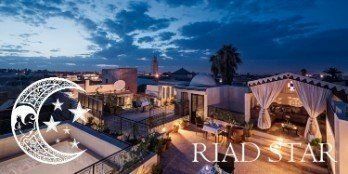 The luxurious Fez room at Riad Cinnamon is inspired by the colours and style of the imperial cities of moroccco. It has a four poster bed (mattress 160cm by 2 metres) with intricate decorations hand carved from Cedar wood. Conveniently located next to the pool and patio, it’s walls are an impressive one metre thick, entered through a door within a door. The shower room has a high vaulted ceiling, double sink and seat within the shower. Step out into a luxurious egyptian cotton hooded robe. 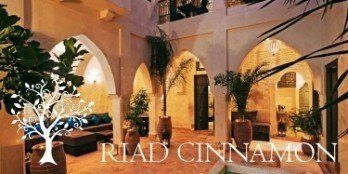 As with all our suites at Riad Cinnamon facilities include air conditioning, mini fridge, ipod docking, wifi and satellite tv. Your comfort is our priority. 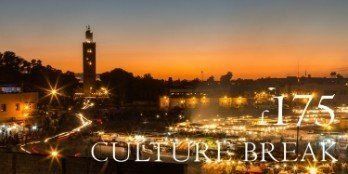 Priced at £140 (Euro 168) for two people including a substantial Moroccan breakfast served whenever you want! 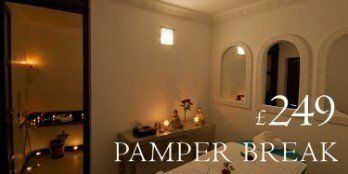 With our internet booking offer the Fez room is fantastic value at just £112 (Euros 134). The sofa can be made up as a bed for a third person at an extra cost of twenty pounds (Euro 24) including breakfast. 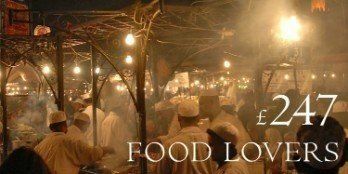 Reserve your accommodation today!